Although summer is coming to an end, it’s still just as important to lather up and stay protected from those harmful rays. 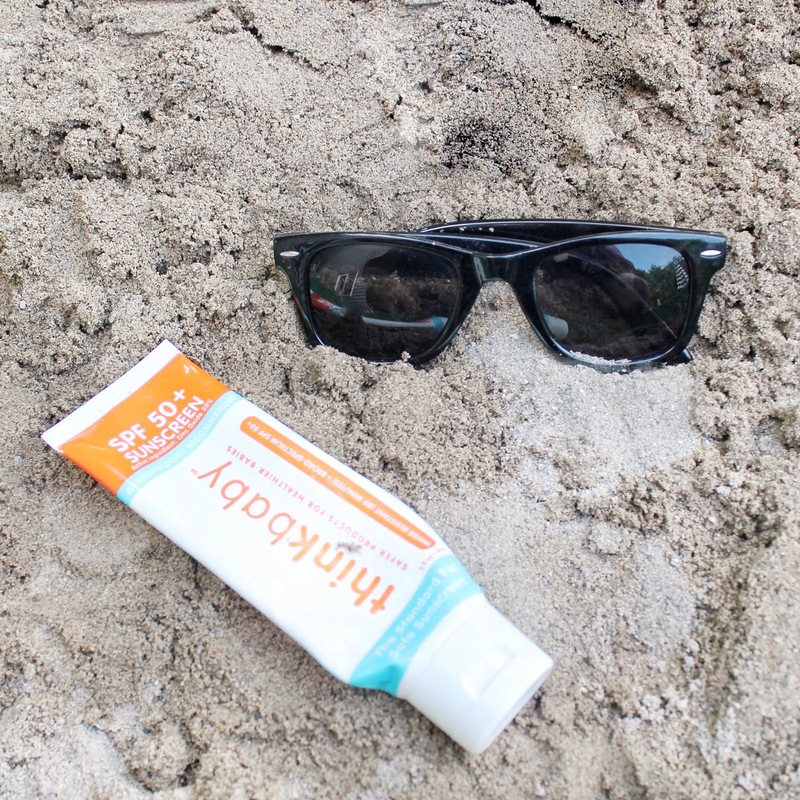 We have been using the Thinkbaby sunscreen all summer and it is hands down the best sunscreen we’ve tried. It has kept up protected all summer long. We absolutely love it. It’s water resistant (up to 80 minutes), has a broad spectrum of SPF 50+, applies and absorbs quickly into the skin without leaving that yucky white cast! It is also free of biologically harmful chemicals (No Avobenzone, Oxybenzone or UV Chemical absorbers). It does have a scent but it’s not overbearing and does not irritate the skin. It’s amazing.